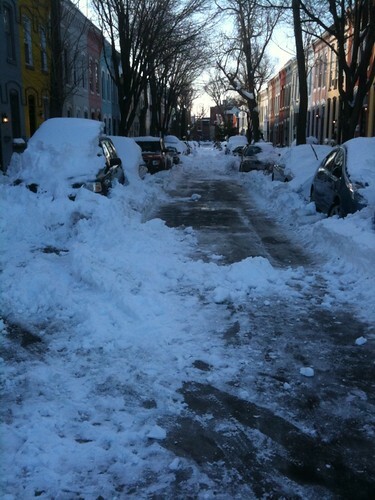 PoPville » Dear PoP – Rules for One Way Streets Getting Plowed? Just wondering if you know anything about the plowing of one way side streets? I’ve been hearing streets like mine never get plowed, which I guess makes sense since the street is so narrow and there really isn’t anywhere to plow snow except onto the parked cars. So I was extremely surprised to hear the sound of a large machine on my street this morning at 5am. I looked out the window and saw a huge snowplow being expertly driven by what looked like a guy in a park service uniform. I was extremely impressed at how skillfully he was backing down the narrow street to deposit the removed snow into a giant pile at the corner. But after about 20 minutes of listening to what sounded like an alarm clock outside my window, someone on my street apparently came out and said something to the guy and then he immediately left the street with only 1/3 of the block plowed. I noticed that several larger streets around me still are not plowed this morning. 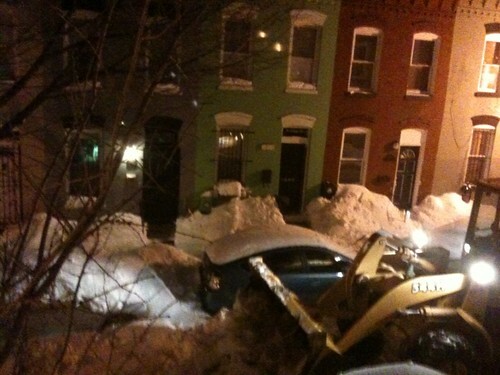 I would imagine one way streets have to get plowed also! The only areas I hear that don’t necessarily get plowed are alleys. Anyone live on a one way street that has been plowed?